Kleefeld on Comics: On -isms: And Furries Too! 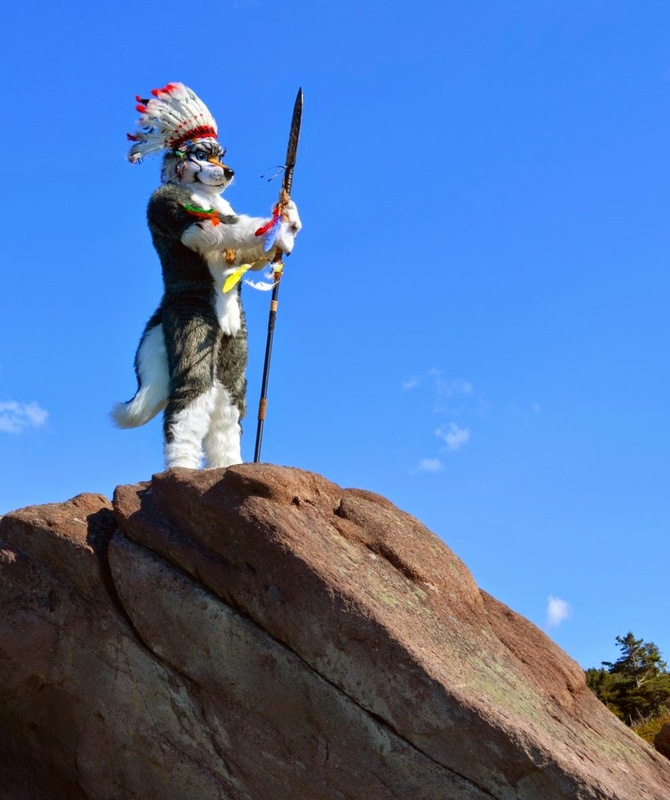 On -isms: And Furries Too! Normally, with my On -isms pieces, I focus on issues of race, gender, etc. -- things that are very much considered built-in to a person's make-up. People don't choose their race. People don't choose their gender identity. People don't choose to have autism. And my premise here is that, because people don't choose these things about themselves, it's hardly fair to discriminate against them, intentionally or not. But I'm going to be even more inclusive than usual in my piece today. This past weekend, a jar of powdered chlorine was smashed in a hotel where a furry convention was taking place. The hotel was evacuated, sending hundreds of hotel guests -- including many convention-goers still in costume -- into the parking lot for several hours. News reports pretty unilaterally referenced the furry convention and, in my early findings that I wrote about on FreakSugar, they were generally pretty respectful. Of course, not more than an hour after I posted that article, MSNBC reported on the incident this way... "And everyone got a good chuckle at Mika Brzezinski's on-camera breakdown," he said sarcastically. Brzezinski expressed confusion in reading the teleprompter initially. She was unaware of what furries are, so she stumbled a bit, asking if the teleprompter was correct. Fair enough. Most people consider "furry" an adjective, and using it as a noun doesn't make sense if you're ignorant of the fandom. But when they cut to footage of the incident itself, not only does Brzezinski see the folks in costume, but I'm sure someone from the control room explained things via her ear piece. So when the camera comes back to Brzezinski, she's hunched over the desk laughing inaudibly and, seemingly, uncontrollably. Why is Brzezinski laughing? Well, laughter isn't entirely understood, but there's often an element of surprise. We clearly have that here. But it's not just surprise that's got Brzezinski in fits. While I realize I can't get into her brain, a fairly obvious reading of her behavior is that she can't believe what she's seeing/hearing. She can't reconcile why anyone would be that interested in anthropomorphic animals that they would want to dress up as one as a hobby. She thinks it's absurd, and is laughing here in much the same way I laughed the first time I watched Monty Python's Flying Circus. It has to be a joke, because it's so farcical to be treated seriously. So, basically, Brzezinski is laughing at furries. Not just the ones at the convention. Not just the ones in costume. But all of them. Furry fandom as a whole. She's laughing at them. And if she's laughing at them, are we then laughing at Brzezinski? Or with her? Are we allowing her public breakdown as a way of pointing out (if you'll pardon the expression) the elephant in the room -- that we think furries are absurd too? Are we using Brzezinski as a shield for our internal reaction? I can't answer that question for everybody. Personally, I watched the clip and felt saddened that she was mocking a group that are just trying to live a lifestyle they enjoy. Furries deserve better than that. I suspect there are some within the furry community that see their engagement as integral to their very personality. As part of the genetic makeup, much the way gender and sexual preference are. They act as a furry because they ARE a furry, plain and simple. But regardless of whether it's a conscious decision or an innate part of their very being, what Brzezinski did was denigrate an entire group of people based on a superficial characteristic they share. You know damn well it's wrong to do that when it comes to race or gender or sexuality or physical capabilities, why would it be okay to do it based on anything else? I expect many in the furry community saw Brzezinski's outburst and gave a depressed sigh. Sadly, they're probably accustomed to reactions not unlike this one. And while they're sometimes maligned as being at the bottom of the fandom barrel, they really shouldn't be. There is no bottom. We're all here, whether you're a fan of superheroes, sci-fi, fantasy, furries, whatever. We're all in this together. As far as I can discern, Brzezinski has not apologized. On History: Where to Draw the Line?